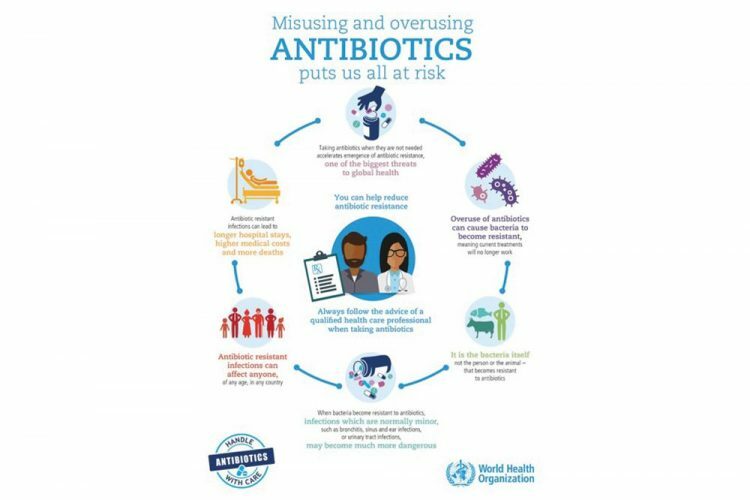 World Antibiotic Awareness Week (WAAW) is an opportunity for all of us to play a part in raising awareness about antimicrobial resistance (AMR). Antimicrobial resistance occurs when medicines once used to kill microorganisms that cause infection both in humans and animals are no longer capable of doing so. The world is running out of effective antibiotic and other antimicrobial treatments, because microbes are quickly developing resistance to them. Globally, antimicrobial resistance has caused an estimated 700,000 deaths per year from resistant infections. Without global action, all lives and livelihoods could be under threat. To stay ahead of antimicrobial resistance, we all need to play our part in using antimicrobials properly and only when they are truly needed. This is why the theme for this yearâs campaign is to seek expert advice to use antimicrobials responsibly. For human health, this means seeking advice from a qualified health care professional before taking antibiotics. Additionally, in the animal sector, antibiotics are given to animals to control or treat infectious disease, but must be given under veterinary supervision. One of the best ways to tackle antimicrobial resistance is to reduce the use of antimicrobials through good hygiene practices aimed at preventing infection. Remember healthy people, healthy animals and healthy plants donât need antimicrobials.